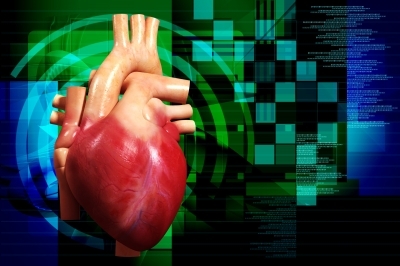 Digital health firm Analytics 4 Life has secured $25m of funding to advance the development of its novel intelligence-backed cardiac imaging technology. The company received series B financing in a financing event, which was supported by an international syndicate of accredited investors, such as physicians, healthcare professionals and medical device experts. The company is currently involved in the clinical investigation of the novel cardiac imaging technology, which will allow physicians to evaluate the presence of coronary artery disease (CAD) using intrinsic signals scanned from the body without radiation, contrast agents or cardiac stress. Analytics 4 Life’s new technology is based on advanced disciplines of mathematics and physics combined with the power of cloud computing and artificial intelligence. The technology’s first application is CorVista, which is a non-invasive and physician-directed diagnostic test that helps to identify the presence of CAD without radiation or cardiac stress. CorVista will scan signals naturally emitted by the body with a synchronous array of seven sensors on the firm’s advanced collection device. Once the signals are acquired, the signal package can instantly transmit to the cloud where it is studied by a machine-learned algorithm to generate a unique image and heart model indicating areas of potential heart disease associated with the presence of CAD. The test results will appear on a physician web portal, which will be studied to recommend further treatment. At present, the two-stage clinical trial at 13 US locations is being carried out to support CorVista’s development and regulatory filings. Analytics 4 Life CEO Don Crawford said: “We are thankful for the continued support from passionate investors who have made it possible for us to revolutionize the way that CAD is diagnosed. Image: Analytics 4 Life will use the funding to further develop novel intelligence-backed cardiac imaging technology. Photo: courtesy of dream designs / FreeDigitalPhotos.net.